Welcome to my World of Warcraft wallpapers gallery! 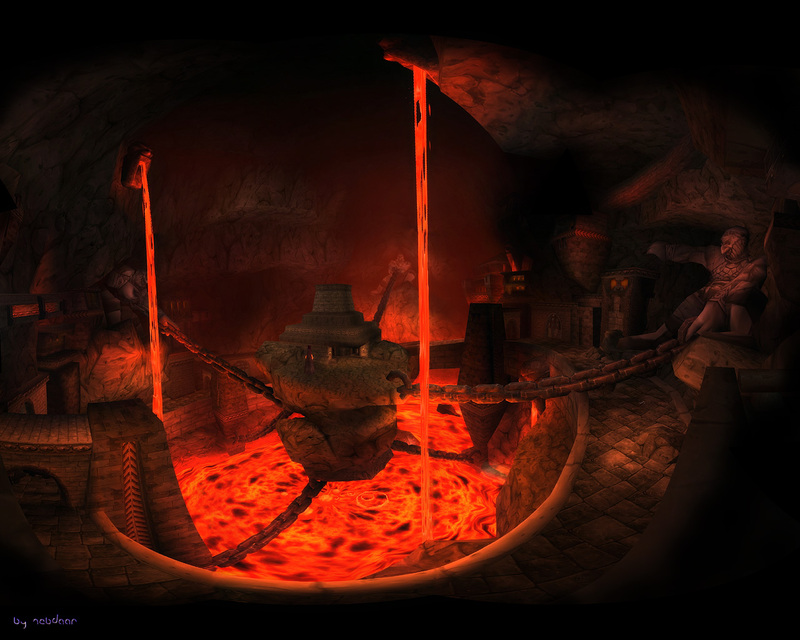 The first part features panoramas and the second half screenshots from in-game scenes. Hovering over the names of the images brings up more information. All panoramas are offered in 2 resolutions: full size and 2560x1440 (8:5 aspect, may be cropped). My interest in taking these in-game photos developed alongside my fascination to play the game. A big inspiration at the time were nebdaar's panoramas. I started to get more involved with panoramas and picture manipulation. This is how this gallery developed. This site has been honored by Vaneck and Gnorog on the 2006-03-10 german community watch and by Drysc on the 2008-04-02 US community spotlight. These set the start for the gallery being widely known and referred to on many, many other sites. There have been many encouraging voices among all sorts of people. This would be too much to list here. Thank you all for your kind support! I am the original author of all images provided in this gallery. I did assemble them here for you to enjoy with much love and care. Feel free to share them, but please credit me by linking to this website. I license them under the Creative Commons Attribution ShareAlike. Starting with the games release in February 2005, I played an undead frost mage named Storke on the German server Lothar. I was part of the fraction-leading raid guild MC1 and later founder and guild leader of Evolution until I quit playing in March 2007. YAR was the last know descendant. Special thanks to Astaroth for hosting support of my first gallery, Arji for just being lovely, Volvox for being crazy - keep it real!, Mournblade for being the best guild grandpa ever!, and Artemisia for granting me access to her account so that I could capture the last wallpapers! I'd also like to thank all my wonderful guild members & models for posing: Phage, Tuwonga, Vexation, Tarabrax, Axute, Ruff, Helix, Melos, Rykhan, Rion, Gotcha, Massel and Fyor. The idea for this one was stolen from nebdaar.com. But mine is way better. :) Also, this is mirror-inverted. One had to know a special way to get up there. Massel. Made with passion while listening to Nightwish - The Elvenpath. This is actually a fake - a montage of 2 panoramas taken in Shattrath City. I made an animated avatar in the same session. I actually went up Gnomereagan with them to take this picture. Tibovete, Tarabrax, Storke, Zotty, Vexation. Taken in Naxxramas. Einherjer - Dead Knight´s Rite is the namesake of this picture. Volvox in Shadowfang Keep. The heavier one: Slipknot - Duality. Axute. Nightwish - Slaying The Dreamer best frames it. Tanja. This was actually not arranged. Rykhan, Mogli durring a raid in Blackwing Lair. Drunken in the kings throne room. Ohoh. MC1 Raid in Molten Core - hence the name MC1. July 2005.